Laced liner – liner is equipped with lacing and thanks to it, wraps around your foot and ankle better. It also secures the heel in place, preventing skin abrasions and helps lining to last longer. Stretchable liner – this type of liner is equipped with elastic neoprene at the front, allowing it to adjust to user’s foot length. One liner size is made for two boot sizes, for example EU41-EU42. It doesn’t matter which one of them you usually wear, or even if you wear half size in between – liners will adjust to your feet in no time, to fit your anatomy perfectly. It also helps while making a purchase – you no longer have to wonder which one of two sizes will fit you better. Trinity frame mount – new invention introduced by Powerslide. Frame is attached to the boot in three points, which form a triangle. Two of them are located just below ball of the foot, providing a stable platform, which improves power transfer on push. Third point is located below heel. Frame and boot connection is much more rigid, works less and dampens vibrations much better than two point mounting. 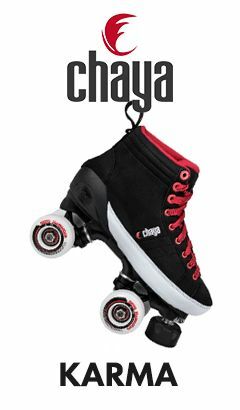 Trinity also removes technical limitations of 165mm and 195mm frame mounts, allowing to place wheels as close to the foot as possible, making skating easier, with lower centre of gravity. Every boot based on Trinity system is compatible with every Trinity frame. Die-cast frame – frame, or its parts, is made by injecting hot, liquid aluminium in to a mould. This process is less expensive than extrusion and cnc machining and frames still have better parameters than ones made from plastic composite. The Powerslide NEXT set new standards in the field of freeskating and urban skating. For the first time in a history, a hardboot has been equipped with innovative Trinity frame mounting. This three point mounting has allowed engineers to lower the center of gravity in a way which was simply not possible before and make whole skate more rigid. Thanks to these qualities, NEXT give you a superior control and energy transfer, on levels which up to this point were limited to more expensive, one-piece boot freeskates. Powerslide took great care in making the NEXT boot as customizable as possible, allowing you to adjust it to your anatomy and preferences. High laced boot with two buckles holds your feet firmly. Cuff is equipped with canting system allowing for four different positions, which can be used to counter pronation or supination in your ankles, or simply give more or less movement freedom depending on the height. Moreover, both cuff and the shell can be cut along factory made marking lines, to give more flexibility. Front part of the shell is protected by a replaceable plastic strip which covers not only the sides like traditional sliders, but also the tip. Inside the shell you will find a new version of well-known MyFit FatBoy Dual Fit liner, this time made with special Recall padding which adjusts to your anatomy in body temperature. Naturally, the liner can be heat-moulded for better effect, just like previous versions. It is also laced in the upper part, a feature which allows to secure tongue in place. NEXT Supercruiser 110 is equipped with Elite frame of 243mm length. It comes with three 110mm Spinner wheels and thanks to Trinity mounting, the balance is as low as possible. This setup is a perfect choice for dynamic urban skating, jumps and slides. Thanks to its versatility, 3x110mm has quickly become a classic of Triskates. NEXT is a true revolution in category of hardboots made for urban skating – never before there was a skate so rich in adjustment options and with such low center of balance. 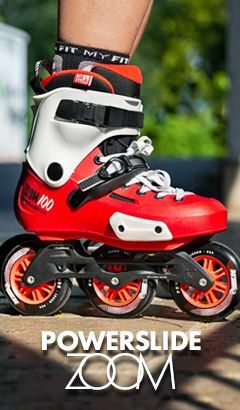 Supercruiser 110 model is a great choice for everyone looking for a pair of universal Triskates and skaters who want to switch from 4x80mm setup.